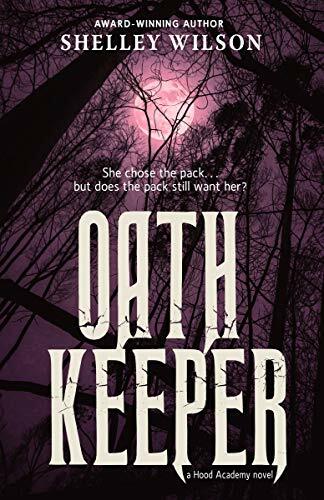 I read Shelley’s Oath Breaker when it came out, and I mentioned how werewolves and I didn’t really mix, but that Shelley had converted me… (read that review here) So I was really excited when the sequel to her book was finally announced! I had a while to wait for the sequel to Oath Breaker to arrive, and when it did, I was not disappointed! We are reunited with Mia, Zac, Cody, Elizabeth, Sebastian et al, and see them battling the evils that are the Parker Family, with some new twists thrown in. Can they save the werewolves? Will Hunters and Werewolves ever be able to live side by side in peace? Will she be able to finally be an Oath Keeper? Well, I’m not telling you that! I’m only saying that you need to read the book to find out, and if you haven’t read the first, make sure you read that too! Check out Shelley’s Amazon page here. And her bookshop here. Shelley is not only a fantastic YA author but a wonderful motivational writer too. If you want to know more about Shelley Wilson, click here for her full bio and media kit! It’s a recommended set of two books Bro!